After I had finished its main campaign, the game cruelly stripped me of all my Pokemon and gave me another dozen or so campaign options. 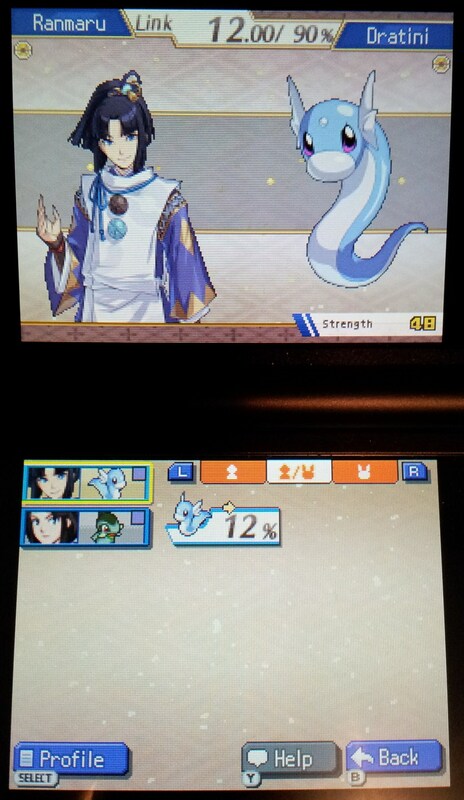 However, as I completed these things got a little easier, as the same warriors tend to pop up in the same kingdoms from story to story and they start with any additional links or evolutions you achieved with them in a previous playthrough. This, in addition to the extra layers of depth I mentioned at the end of my original review, was more than enough to keep me interested in the game. The aggressive AI in one of the campaigns scared me half to death, as two enemy kingdoms went through an odd power spike at the same time and proceeded to wreck things left right and centre. I needed several hours of spacial luring, bottleneck abuse and trench warfare tactics to wear them down and the feeling of accomplishment following victory was immensely rewarding. Despite the avalanche of new release games of late, Conquest just keeps on giving. I discovered a chunk of extra replay value after finishing my review back in July. 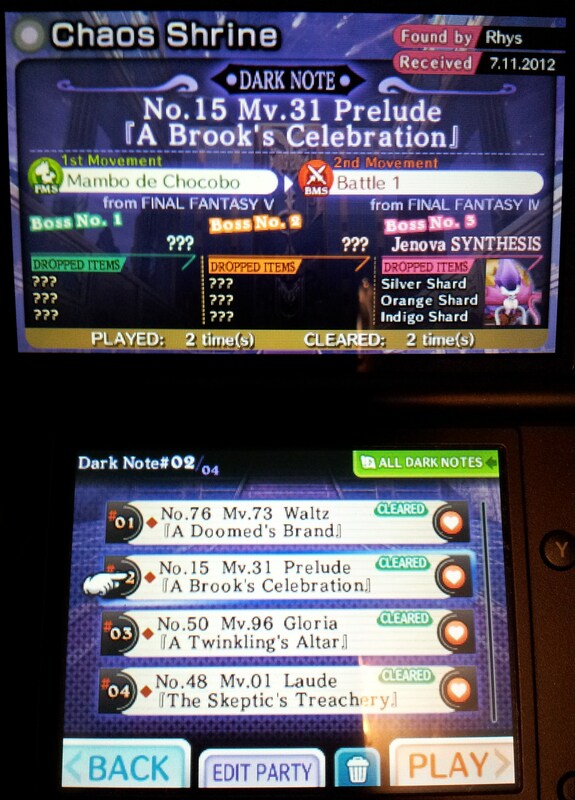 The game’s Chaos Shrine mode, which I hadn’t really explored much beforehand, adds depth by letting you play a series of “Dark Notes” unlocked in seemingly random sequence, with the ability to unlock specific ones via StreetPass with other players. Each Note consists of two pieces of Final Fantasy music drawn from a list that not only contains tracks you cannot play in the standard game modes, but also different variations of the main tracks that shift the focus to individual instruments. It’s also the best way to get coloured shards, which unlock the game’s many hidden characters. The game’s downloadable content has also gone live since my review and each additional track only adds to the grand scale of the game’s excellent musical content. I’ve purchased about a third of what’s available and in a way it kind of completes the game for me. At $1.50 each, the tracks are affordable too. Of course, bonus fanservice is included. Three DLC packs have been released since the game hit stores both physical and digital in June. Each adds a new costume, a couple of new story missions inserted into the chronology of the main narrative at different points, a few new challenge missions with gem-heavy rewards and a new unlock or two on the skills bar. If you enjoyed the main game, as I did, you will enjoy these packs as they do mix things up a bit, although asking for extra money for the ability to max your stats may seem a bit extortion-y to some. As I mentioned in my review, though, that’s probably the reason for the game’s otherwise inexplicable initial $55 price point. 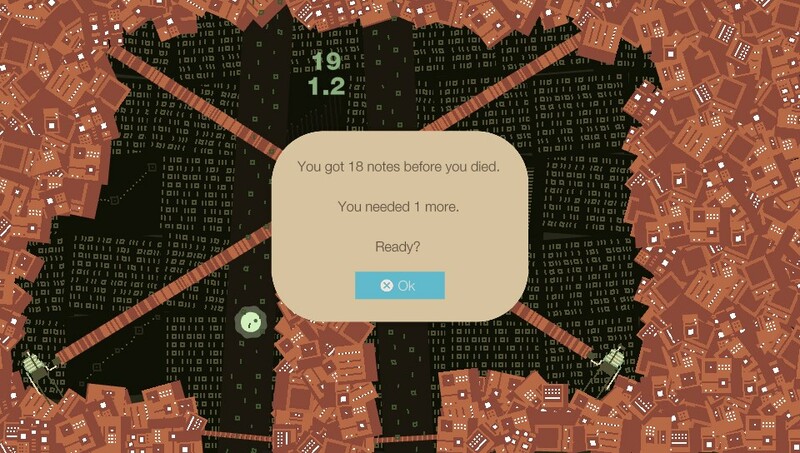 Sound Shapes‘ infuriating Death Mode strikes again. As for the rest of my Vita activities, I’ve been dabbling in a number of things without really committing to any one game. The closest I have come to doing so is Sound Shapes, an excellent downloadable rhythm-based platformer that gets so brutally hard that I had to let my console (or rather, my pride) cool off for a couple of days after hours of trying to unlock one stupid damn trophy. Otherwise, I played Metal Gear Solid HD Collection, specifically the MGS3 Snake Eater half of it, for a while before other shiny things began to take away my time. The game looks amazing. Though I bought LittleBigPlanet Vita on the day it came out, I have not touched it as of yet. I mean, it came out on the same day as Borderlands 2. What’s a guy to do? I haven’t listened to this album in a long time. I realise it has some good tracks, as I mentioned in my review, but something about it just slides it down my list of daily priorities time after time. It sort of saddens me that the other albums remain better choices as far as I’m concerned.